When I say fluency, I know the picture that pops into the head of many teachers... anxious students, stopwatches, and lists of nonsense words while you tell the kiddos to read as fast as they can! That's not what I mean. I'm not talking about their oral reading fluency - I'm concerned that these kiddos who struggle with reading aren't fluent readers when they read to themselves. Since the best way to become a better reader is to read, and they struggle reading, then reading isn't usually something they are clamoring to do. 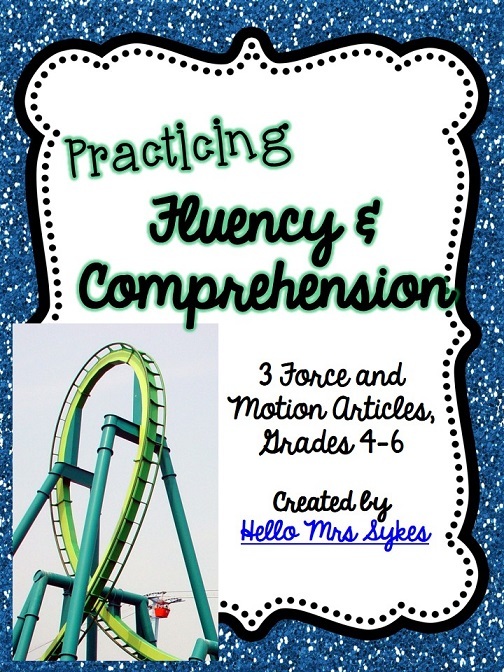 For months, I have been inspired to create "Practicing Fluency and Comprehension" articles to address the issues of fluency, close reading, and referring to text that many upper elementary students struggle with during reading. 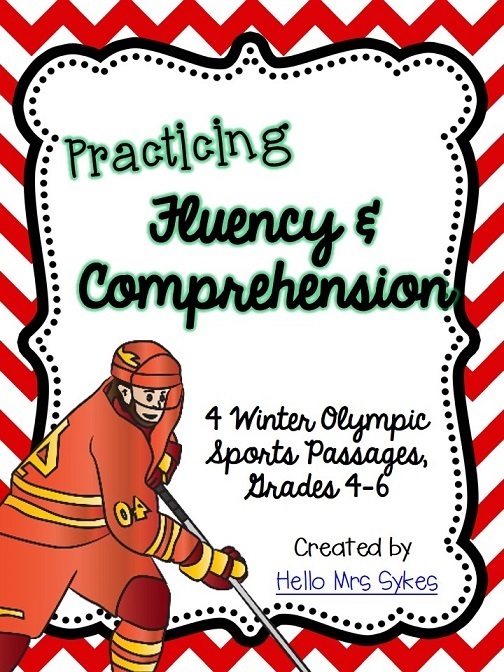 I'm really pleased with this packet, and have enjoyed using it to incorporate interesting and relevant content in a short, focused, and easy-to-demonstrate format that helps build stronger readers in upper elementary. It's pretty short and sweet - a collection of original articles about the topic (each has 3 text-dependent questions), 3 stars on the page (for students to shade in each time they read the passage to encourage repeated readings), and a text-specific graphic organizer. Right now, I have 2 of these... one is on Forces and Motion at the amusement park, and the other is on Winter Sports that traditionally are included in the Olympics. * Project the article and preview the text together. Look at the title, graphics, captions, and read the directions. * Students read the article 3 times to themselves or with a partner, if needed. * The graphic organizer can be used during the 3 fluency readings (add a bit each time), as a small group activity to facilitate discussion of the text, or as an independent activity. * Students are required to annotate text as they answer questions. * During group discussions, project the passage for easy sharing of evidence.